"Our sympathy is with the family - may you remember happy times." 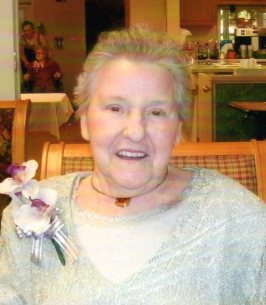 Marion Ruth Morris, a former resident of Furlong, passed away on Sunday, September 23, 2018 at the Phoebe Richland Health Center. She was 84. Marion was the wife of the late Verner Young. Born in Willow Grove, Marion was a daughter of the late Clarence and Eleanor Roberts. Marion had retired after 30 years of employment as a custodian, at the Middle Bucks Institute of Technology in Jamison. Marion was also active with the Warwick Fire Company Ladies Auxiliary. Marion is survived by 3 sons, Verner Young, Jr. (Rose), Michael Young (Patricia) and Paul Young and by 4 grandchildren, Cody, Kyle, Bree Ann and Billy. Graveside service will be held privately at Sunset Memorial Park. Our thoughts are with your family at this time of change. May you enjoy happy memories of all the different times of your lives spent together. Our sympathy is with the family - may you remember happy times. I am glad to say I had the privilege of working with Marion at the Fire House, during our catering ventures. She was a joy to be with and a great source of comic relief. My first thought of her was, you heard her before you saw her. I am pleased to say we were friends and you were blessed to have shared a life with her. My thoughts are with you at this sad time in your family.